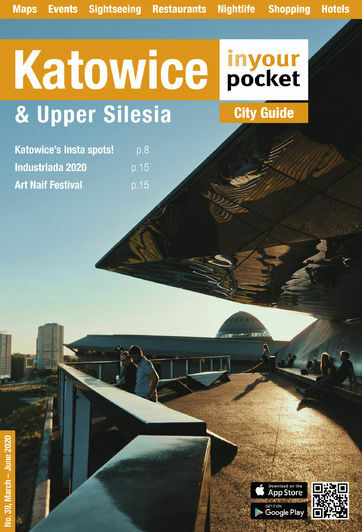 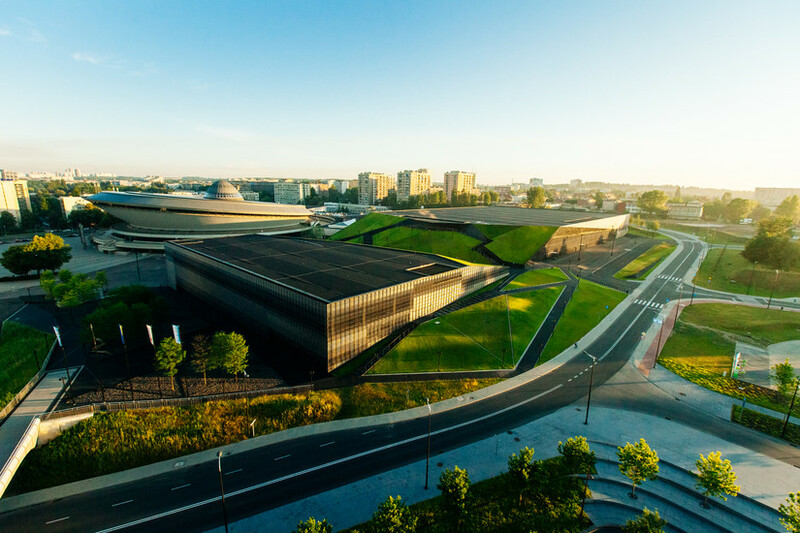 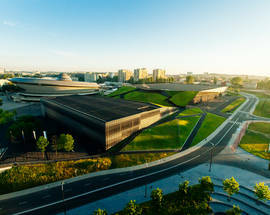 The newest architectural jewel in Katowice’s eclectic crown and this one comes with lush green rooftop carpeting (keep off the grass!). 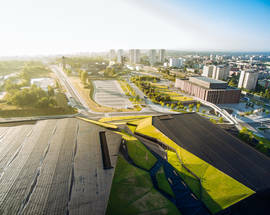 And like any good carpet, it really ties the proverbial ‘room’ together (ie the Cultural Zone) by forming a highly functional and even elegant emerald ‘bridge’ between the socialist Sci-Fi Spodek and the more modernist NOSPR building. 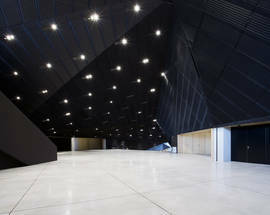 This huge multipurpose facility is more than just its mossy exterior though. 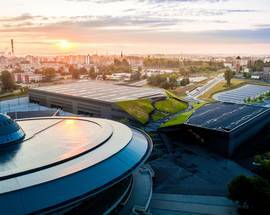 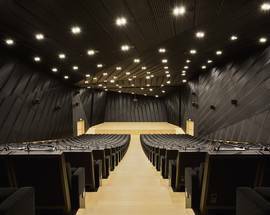 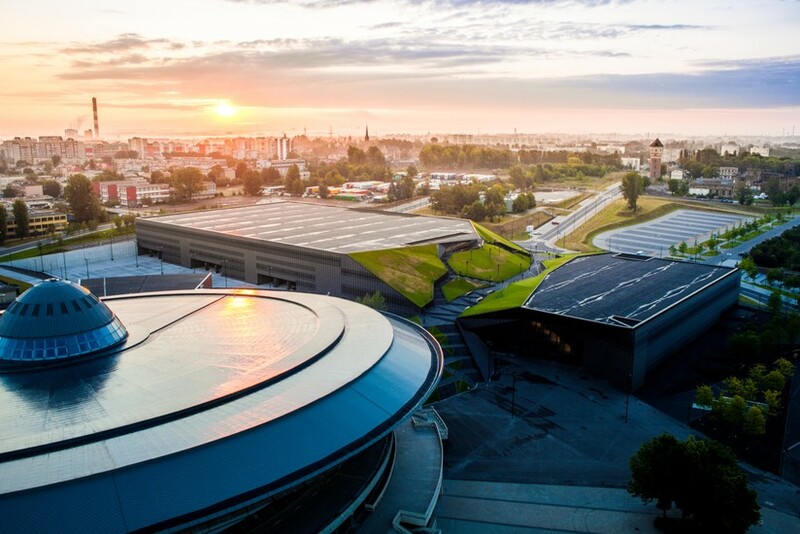 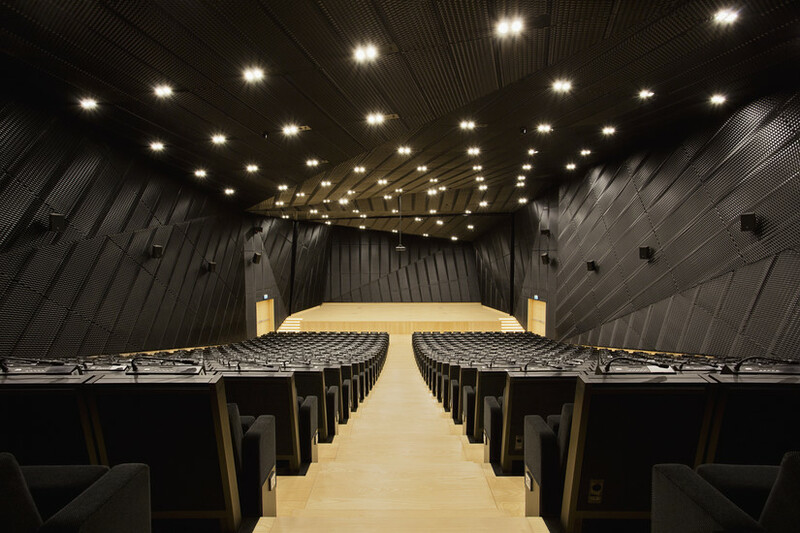 With the capacity to accommodate 15,000 visitors, coupled with the Spodek Arena next door, it is one of the largest venues in Poland for conferences, exhibitions, trade fairs and sporting events. 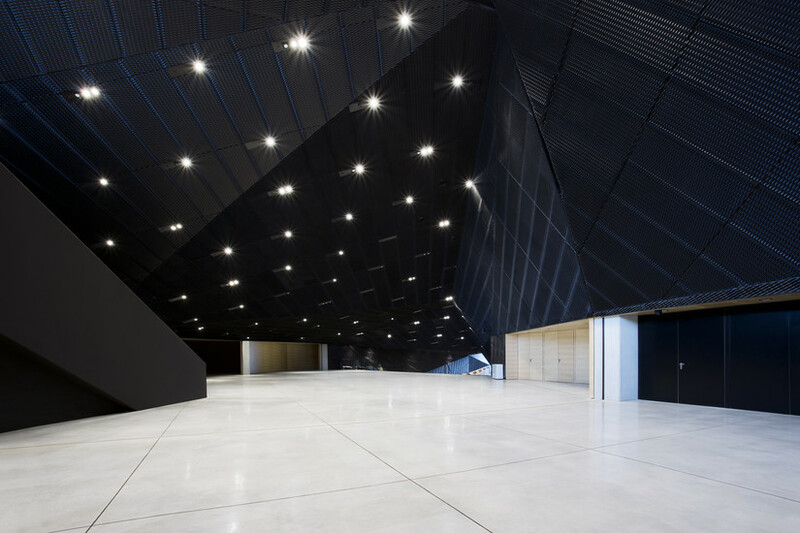 Log onto their website for the latest upcoming events in, on and around this breathtaking new facility.